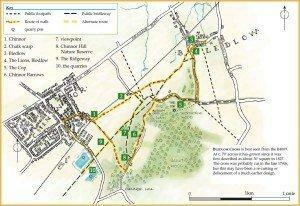 The Lions of Bledlow is the perfect base for a walk through the Chiltern Hills AONB or the Lyde Gardens. Dogs are always welcome! Please click on a link below to download a PDF leaflet which will provide you with all the details you need to plan your walk.